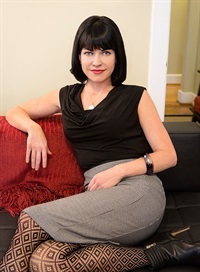 Stephanie Vaughn, Psy.D., Clinical Psychologist-HSP is the founder of Psyche, PLLC, a boutique outpatient therapy practice located in the Nashville, TN. She is an associate faculty member at Vanderbilt University in both the psychology and psychiatry departments. She conducts Dialectical Behavior Therapy (DBT) with both adolescents and adults as a DBT-Linehan Board of Certification, Certified Clinician™. She is considered an expert on Therapy-Interfering Behaviors and contingency management for oppositional behaviors in adolescents. Dr. Vaughn has worked in the intensive PTSD program at the Department of Veteran Affairs with soldiers returning from Afghanistan and Iraq and female soldiers suffering from Military Sexual Trauma where she implemented formal Prolonged Exposure (PE). She is active in the teaching and supervision of DBT for Vanderbilt’s psychology & counseling students and doctoral interns, as well as psychiatry residents. She founded and currently runs Vanderbilt's DBT Peer Consultation Group. She has served as an expert consultant for a variety of hospitals, schools, and clinics around the country. Financial: Stephanie Vaughn maintains a private practice. She receives a speaking honorarium from PESI, Inc. Non-financial: Stephanie Vaughn is a member of the American Psychological Association.